Later this month I’m going to Mississippi to hang with family, soak in some sunshine, and partake of the tastiest food this fine country has to offer. True, all three of those things can be done while eating tater tots in the Sonic parking lot, but we are expanding our itinerary to include some more seasonal rights of passage. This year March 17th also coincides with St. Joseph’s Day, one of the few days of the year the Mardi Gras Indians* return to New Orleans. It’s a thing to see. It’s not so much a formal parade with a set route and time, so much as it is a march. People get together and march in a procession. 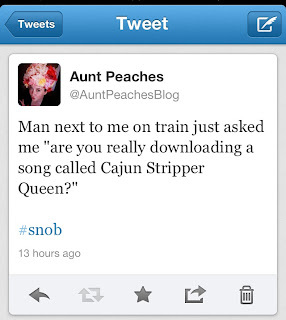 That’s a very New Orleanian thing to do. I don’t know any place in the world where people will drop anything for an impromptu, circuitous parade. Star Wars convention in town? Parade! *Listen, don’t nobody email me some PC crap about Indian being a forbidden word – in this case it is a self-proclaimed title. I’m just following their lead. – Larry Bannock, President, New Orleans Mardi Gras Indian Council. Most Mardi Gras organizations will form a krewe, often named Roman or Greek god. The ranking structure of a Mardi Gras krewe is a parody of royalty; king, queen, dukes, knights and captains, and so on. Many more established krewes allowed membership by invitation only. Being part of a krewe, any krewe, is to belong to a club. Back in the day, many New Orleans natives felt uncomfortable participating the typical parade hierarchy, so a handful of African-American neighborhoods developed their own style of celebration. Their krewes are named for imaginary Indian tribes according to the streets of their ward or gang. Naming themselves after native Indians was a way to pay respect, as, back in the day, it was often the local Indians who were first to accept slaves into their society. So here we have a little slice of American history packing into a whirling flourish of sequins and feathers. 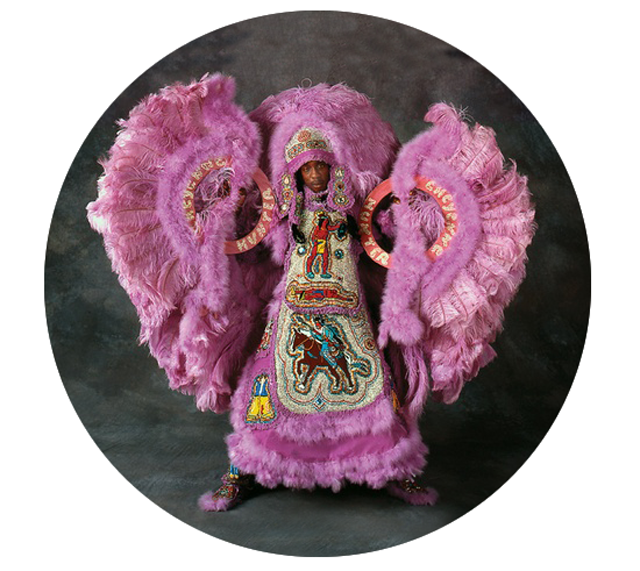 Read more about the Mardi Gras Indians and their secretive ways. Go visit my favorite New Orleanian, my craftastic sister Suzonne. Tomorrow is Fat Tuesday, which makes this the Monday before Mardi Gras, aka Lundi Gras. Time to get our bead on. 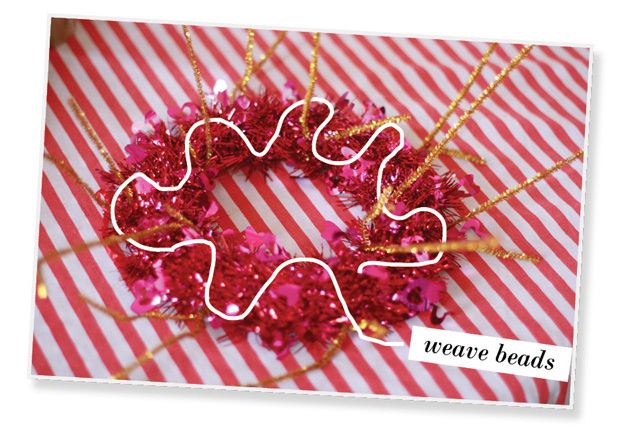 Hot pink wreath from Dollar Store + pipe cleaners + a whole lot of throw beads = instant wreath. 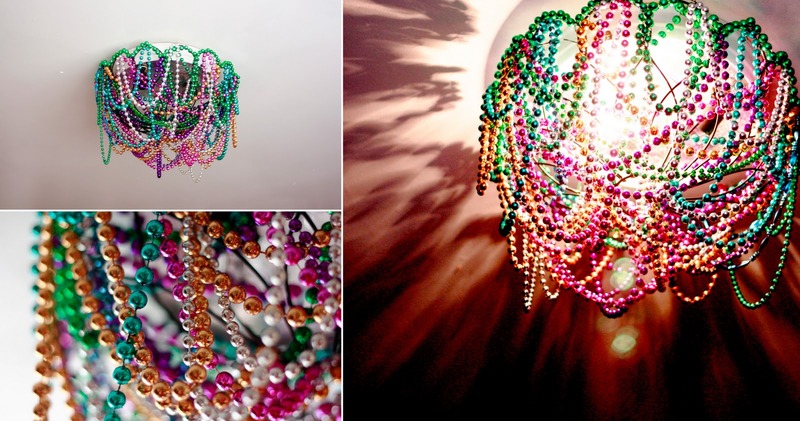 Looking for an excuse to collect more beads this year? How about some jambalaya boxes or an easy ceiling chandelier based on a wire plant hanger? It’s that time of the year when tourists descend upon New Orleans like a bunch of drunk and shirtless locusts. Middle aged conventioneers with names like Stew and Skip take up with sorority girls, frat boys, and Lousianans alike in America’s spring break: Mardi Gras. 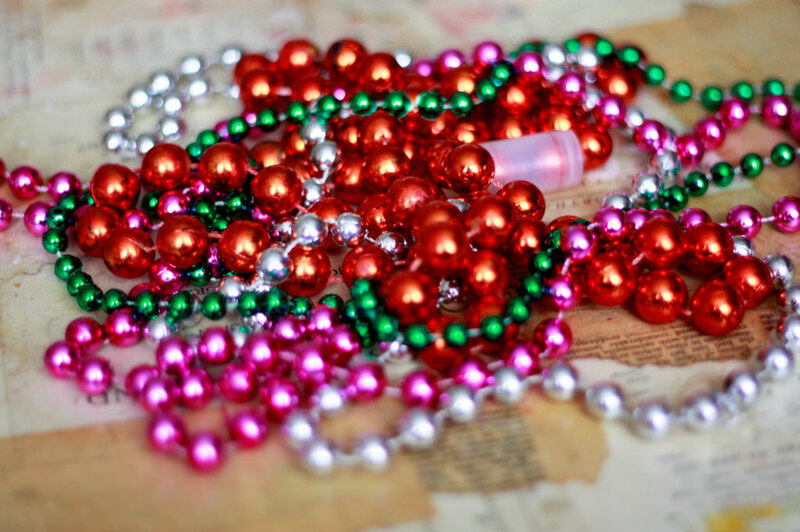 Yes, it’s that time of year, but it isn’t all bad for the good people of NOLA — they get free jewelry. And by jewelry, I mean beads. 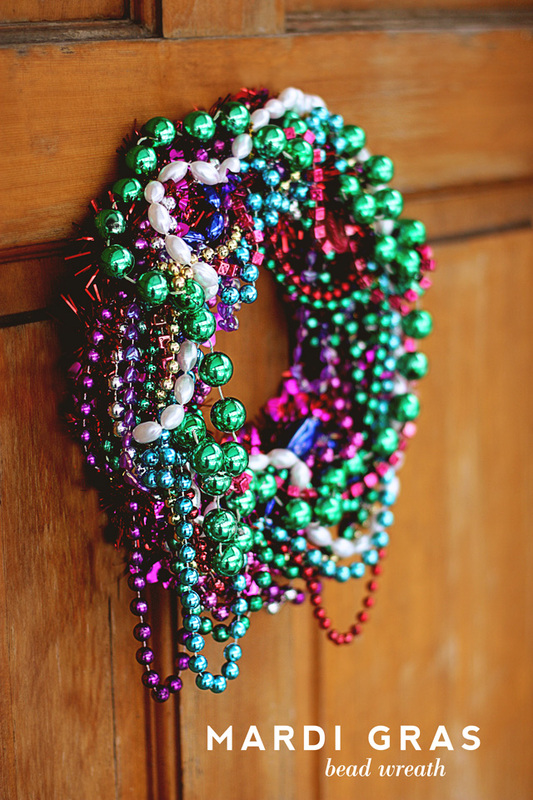 Mardi Gras is the only holiday I know in which people throw shiny things off of floats and hang said shiny things on trees and doors and fences and anyone who will flash a tata or two. If anyone else knows of another free jewelry holiday, YOU LET ME KNOW, OKAY? It’s been a few years since I have been to New Orleans for the season, but last time I prepared as best I could by grabbing beads enough for ten people plus half of Jackson Square. Plus, I get abuncha green ones around here every St. Patrick’s day, plus the occasional bag full of beads in the thrift store now-and-again…plus…well, put it altogether, and I am always stocked with a drawer full of Mardi Gras beads. No, literally, there is a drawer labeled MARDI GRAS BEADS. It comes in handy more often than you would think. This year, considering Fat Tuesday is February 12, I thought it would be fun to mash it with its neighboring holiday—Valentines, on February 14. 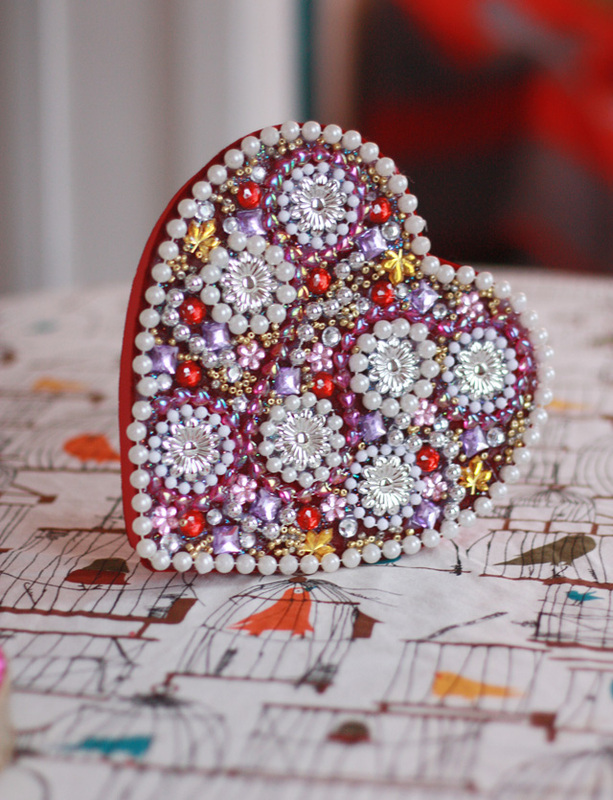 The end result is a glitzy chocolate box with Cajun flair that I can use to harness my sparkle tooth. Of course you could use it to give away cookies or homemade treaties…I have my sparkles to think of. Like the creole dish they were named for, these boxes are an eclectic jumble of decadent elements. Jambalaya is also a popular song and a line dance (click here to learn en français!). The idea came to me after thinking of other songs to use describe this project. 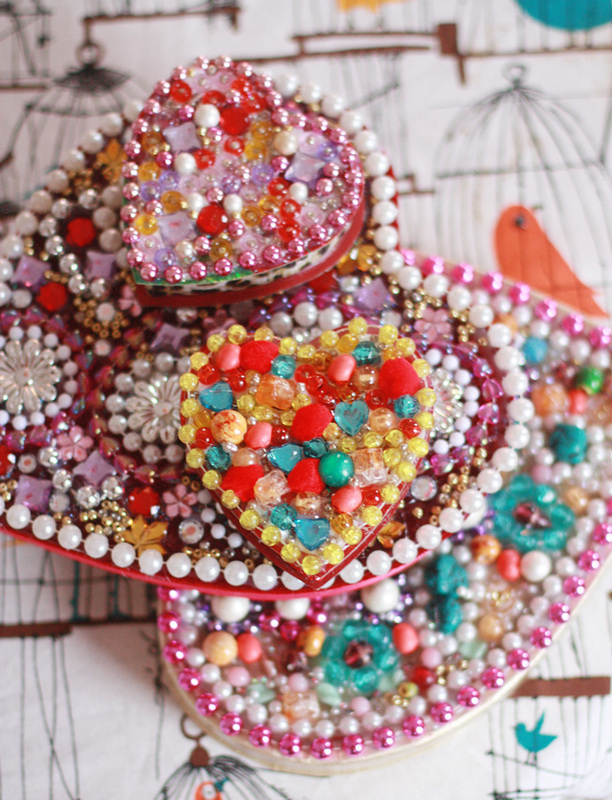 For a while I’d call them I Left My Heart in Louisiana Boxes but decided that would be too tacky. Not nearly as tacky as Cajun Stripper Boxes, (the beloved Doug Kershaw song), but that’s a personal call. So, the question is, how do you make one of these nifty boxes for yourself? Read on! Heart shaped box, salvaged for free or buy new box (and eat all chocolates)— Target is selling these Snoopy Whitman sampler boxes for 99cents. Or you can also make your own. 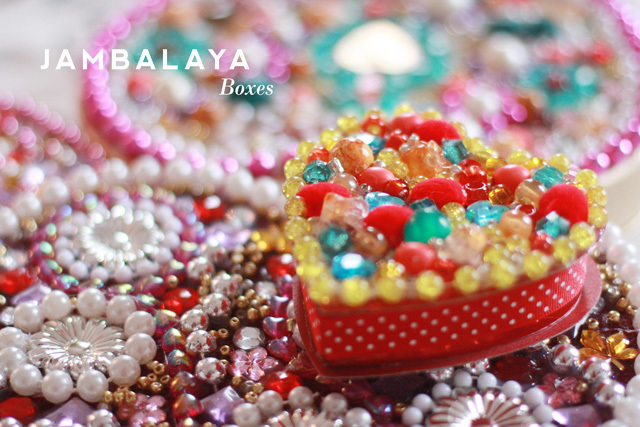 After removing any bows or frills or extra fabric from the top of the box, rim the edge of the box in a single line of hot glue and beads. Filling the heart is entirely up to you. It’s a jumble. Jambalaya. 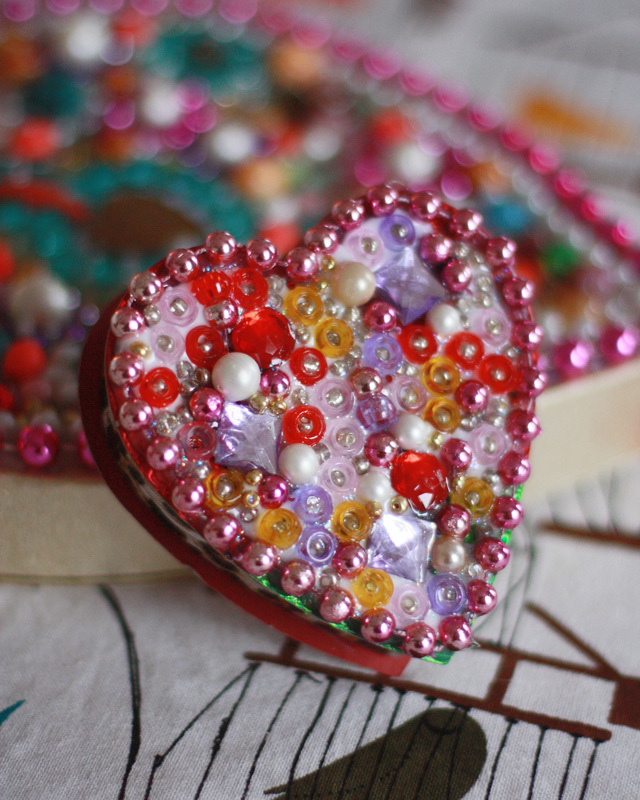 I put the center focus on an old heart shaped collar tag, then scattered a few chunky pieces of faux turquoise, and encircled each piece in a single row of Mardi Gras beads. 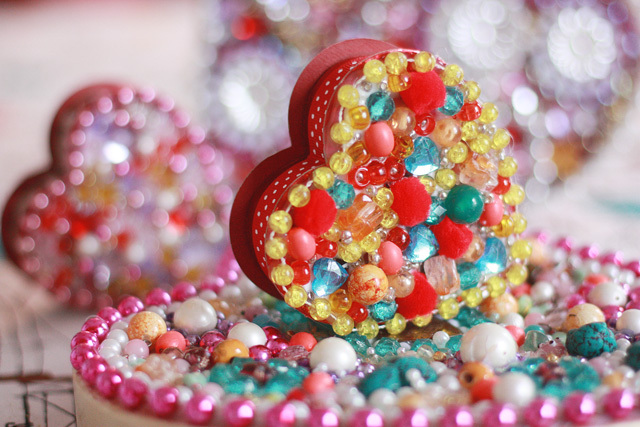 Then I used other larger, single beads to form bridges in between each cluster, then wound more plastic beads around those…eventually forming a thick path of beads the wound all over the heart. 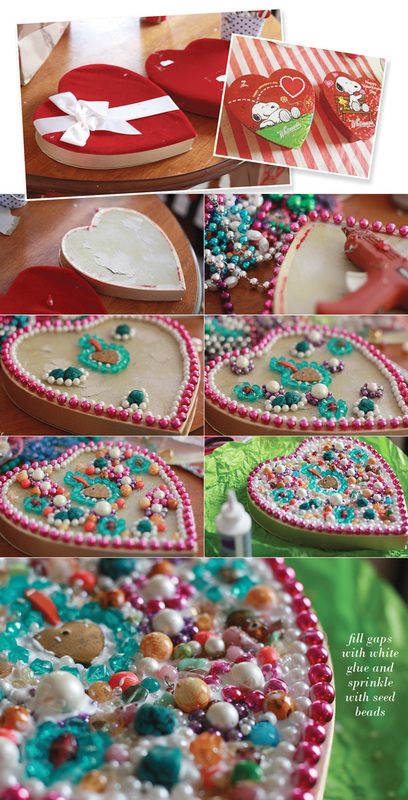 To fill in the gap spaces, I used a thick white glue and liberally sprinkled inexpensive seed beads. 12 hours to dry, and it’s ready to go! You can tell the glue is still drying on this one as it’s not 100% clear just yet. In retrospect I probably could have painted the box beforehand, but who has time for that when they are staring at a giant pile of sparkly beads? 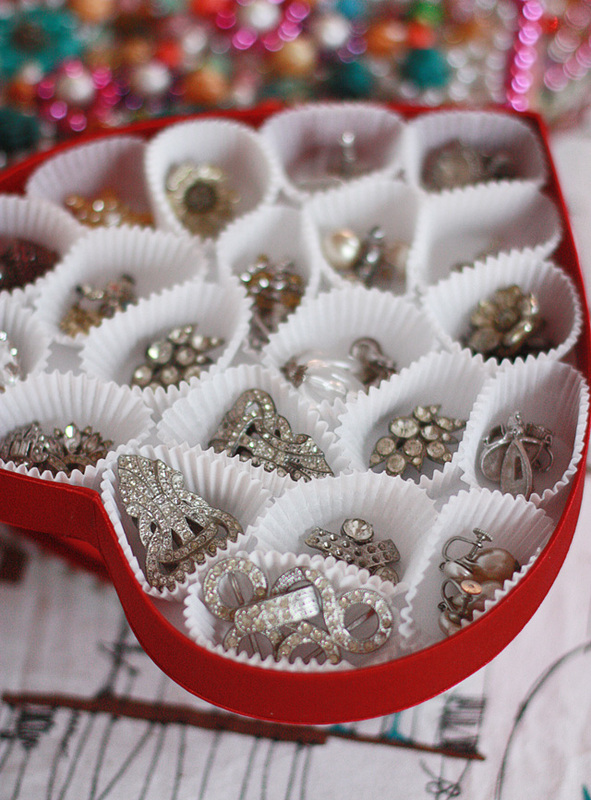 My mother used to keep her jewelry in a ruffly pink chocolate box. There was a crushed velvet rose on top and the inside was segregated into a grid of waxed cardboard dividers which made it great for earrings or small items. I’m very loosy-goosy with most of my jewelry, and none of it is real, but some of it is old enough that I don’t want them bumping around and losing stones. These little candy linersare just the thing! 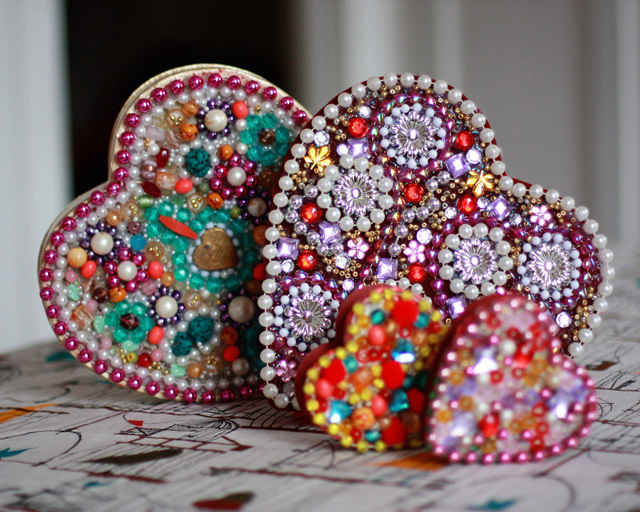 That center heart piece was from the collar of my first cat, Sam. He was an all-white longhair kitty that weighed in at 22 pounds. I named him Sam after my childhood idol, Samantha from Bewitched. So the good news is I now have four nifty boxes to sort and store my baubles. 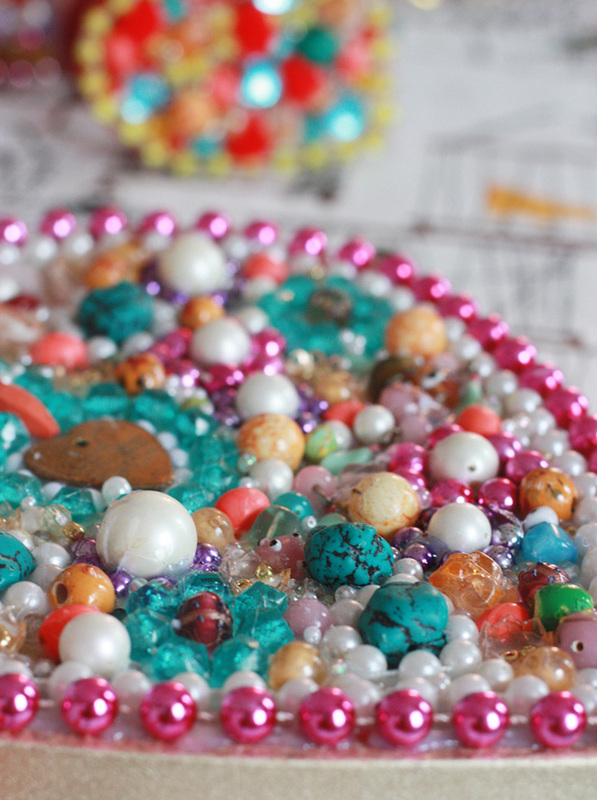 The bad news has made me hungry for the last thing I need right now — more beads. Anybody else have some ideas on how to use up old beads? Check it out y’all! now I’ll have Mardi Gras in my living room all year round. Wahoo! The first idea that hit-me-in-the-face came from Kelly on facebook, and was soon echoed by LeeLu and Ann (clearly, all three of them knew a good thing when they saw it! 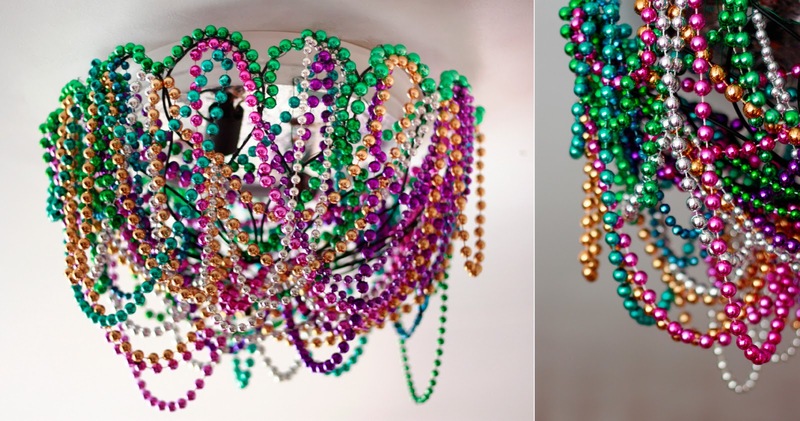 )….who all suggested a variation on this chandelier from Heather at Dollar Store Crafts. Check out this sucker. Isn’t it amazing? Just one problem. I have crazy low ceilings. My apartment is over 100 years old and they just didn’t make them tall enough to do a cool, tall, luxurious chandelier like this one. Sigh. The compromise? A big-fat-yet-still-drippy-dippy ceiling light. Yeah, well, it’s not as formal as Heather’s chandelier but golly-gee it sure is festive! 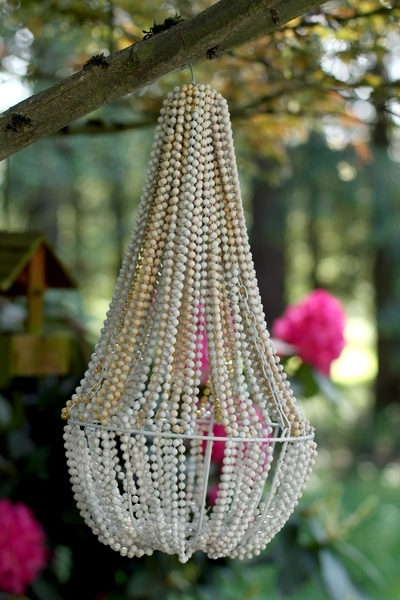 I took her basic idea of using the hanging basket and I knew it was going to be festive but I had no idea how much I would love the sparkle and shadows it creates. It’s like a disco every time I turn on the light! *Note: The project here is not for those seeking perfection. There are no patterns here. You just swag-n-twist and swag-n-twist like a big floppy flower arrangement. Embrace the chaos! 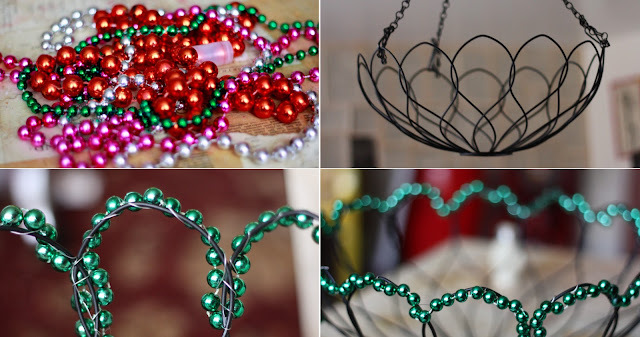 I started out by wiring the edges of the basket with green beads –this helped keep it it looking a little more uniform or “on purpose”….then just went to town swagging and twisting wire around each strand where it hit the wire basket. Once the basket was fully loaded I wired the basket frame to the three holes in the original light fixture. Luckily this basket has a hole in the bottom, so changing the bulb won’t be a problem at all. This project was free and easy –can’t beat that! I’m crazy about the star burst shadow it makes on the ceiling! Fat Tuesday is around the corner. You know what that means? It means I’ll have 20 pounds of Mardi Gras beads and no where to go. I need something to do with theses beads! Ideas? Anyone? Painting and mosaics are always fun, but there must be more, right? Google is not being it’s usual helpful self today. Hmmmm…. Y’all feel free to comment if you have a new and nifty way to use them. I’m all ears!